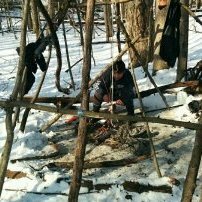 genesee_mohican had the most liked content! I remember a turkey hunt many years ago when I'd been up early hunting most mornings for a week or so and was getting a bit tired. I was in a good spot well before sunup and was calling to a bird and getting a good response, but he never came close. He eventually wandered off, despite my best calling efforts. I decided to sit tight and wait it out and watch the spring morning unfold and see if he would return. I had been sitting by a large oak and after an hour or so I decided to just lay my head down right there and take a nap. Oh and it was a good nap as I was sound asleep. Next thing I know I was waking up to the sound of a loud gobble. I had no idea where it was coming from, so I was froze for a few minutes but I slowly sat up and readied my gun. Another loud gobble made me realize which direction the bird was coming in from, and luckily it was on the other side of the tree so he didn't see me move. I watched as he came into view, strutting and gobbling. It was a beautiful site to watch as he came within 20 yards and stopped for my shot. He was a beauty and hunt I'll never forget. It's listed as a wild trout stream by the DEC and it's not stocked. This area is blessed with some high quality trout streams with water quality and temps that allow the trout to reproduce and flourish so no stocking is needed. Had a nice morning of fishing along a quiet wooded section of wild trout stream that I never fished before. The water was low and clear but I found some nice holes and landed a few wild browns. Nice job putting that together. What program did you use to make the video? The grackles and red wings showed up here a couple of days ago too. We've had robins around all winter but the resident birds are just starting to return. Hearing those red winged black birds reminds me of trout fishing. I may need to find some worms and head to one of my favorite streams soon to try for wild browns. I would start out by studying the topographical and satellite maps for the public land you are wanting to hunt. That will show you the terrain, some boundaries and help pinpoint spots of interest. youtube has a ton of informational video's on scouting and hunting public land as well, and not a bad idea to watch some just to know what to look for. Nothing beats boots on the ground though, and as others have mentioned, this is a great time of year to scout. Fresh rubs still show, all the scraps are still in place and to me, it's just a fun time of year to be out in the woods and keep the deer thoughts churning. Walk the area as often as you can and take notes. There are apps out there now like scoutlook that uses GPS so you can see where your at when out there and mark spots that you wish to return to. You could set out a trail cam or two just to see what deer are out there, but use caution on public land with that or you may lose them quickly. Placing them in more remote areas far from the road, up out of site and having them locked in are all highly recommended. S0 get out there to check it out and enjoy the time in the woods. Good luck. 4F with crunchy snow on the ground. The deer will hear us walking into our stand a half mile away, and that's just from our teeth chattering. Happy Thanksgiving! That looks like a fisher. Mink and marten will have a shorter tail and are smaller animals. This fisher has a summer coat here, but will look much larger now with a full coat. I will watch the weather and pick n choose a few days to take off from now till end of Nov. This Fri looks decent, and I'll be out next week a few days. Great pic, looks like he's posing. Or wondering where you are. Hope you see him. Same here with All Free & Clear. That is all I use in my washing machine year round and we use nothing in the dryer. No drier sheets. HS shampoo, that green stuff and baking soda to brush teeth. Pretty low cost for a base to start at. Anyone run cams with sound ? I run Browning's as well, and all are set to take 1 minute of video. You hear the deer crunching through the leaves as they walk by in the fall, bucks grunting, antlers clanking as they spar. But the best part by far is seeing what's taking place in the woods with a one minute video. Instead of having the cam trip and take a photo of one deer passing by, then pausing for how ever long before the next picture fires off, missing all the action, you see that a bunch of deer just walked through single file. 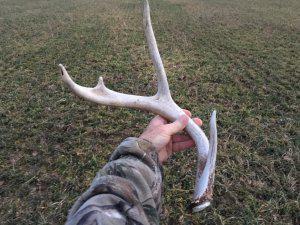 You see when bucks are chasing hard during the rut and there's just more details on all the wildlife that pass by. Having a trail cam set to video is far more entertaining and valuable as far as seeing what's happening in the woods. I'm so glad I switched. The pics are nice and easy to send, don't get me wrong. But watching the videos makes it feel like you were there. Try it on a cam or two. I think you'll like it. That doesn't sound good or fun! I hope things heal quickly and you're on your way home in a short time. So what are you all learning? 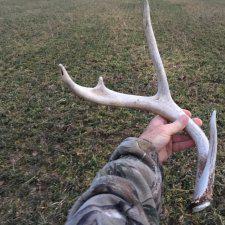 I like to scout right after the season and then through shed hunting season. I'll do some stand moves during that time too. August is spent observing deer in fields and seeing what shows up on trail cams. It's interesting to see how the deer patterns start to change a little towards the end of summer and how each day has me thinking more and more about the fall woods . Bow season opens in 42 days.